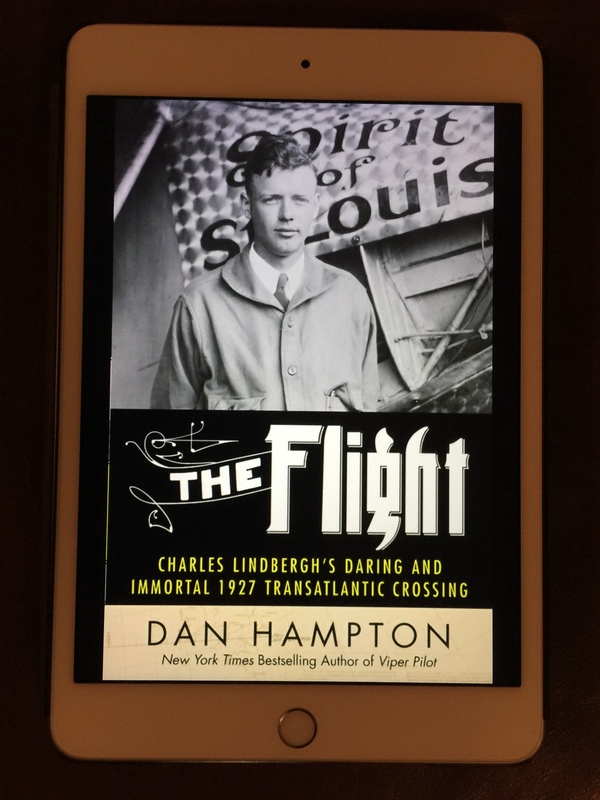 It was on my own Atlantic crossing to Amsterdam in April 2018 that I chose to read this book by Dan Hampton, The Flight: Charles Lindbergh’s Daring and Immortal 1927 Transatlantic Crossing, a book actually recommended to me by the person I would be teaching with in Amsterdam. And the parallels of our two trips (mine and Lindbergh’s) and the coincidences were amazing to me. A fictionalized story of the trials and tribulations of Lindbergh on that historic first New York to Paris flight could not have been written any more enthralling as there were numerous times when I found my heart racing as Lindbergh had to overcome one life-threatening challenge after another. In a commercial aviation age when we often times complain of cramped seats and too little legroom, these short-term discomforts pale in comparison to the more than 33 hours of continuous flight Lindbergh had to endure cocooned inside the tiny cockpit of his Spirit of St. Louis. And while Lindbergh was struggling to stay awake for the duration of his historic flight, I was trying to read enough to tire myself out so that I could sleep in a seat that 90 years earlier, Lindbergh would have luxuriated in. At one point, I realized before falling asleep on my overnight flight, that my own plane was actually following the exact same path that Lindbergh’s did. I’ve always had an immense appreciation for Lindbergh’s legendary accomplishment ever since the first time I saw his iconic plane hanging from the ceiling of the Smithsonian Institute in Washington, D.C. And this book got me inside that tiny cockpit with some of Lindbergh’s own thoughts and words, giving me a detailed accounting of that trip while working in historical background about Lindbergh and his family. 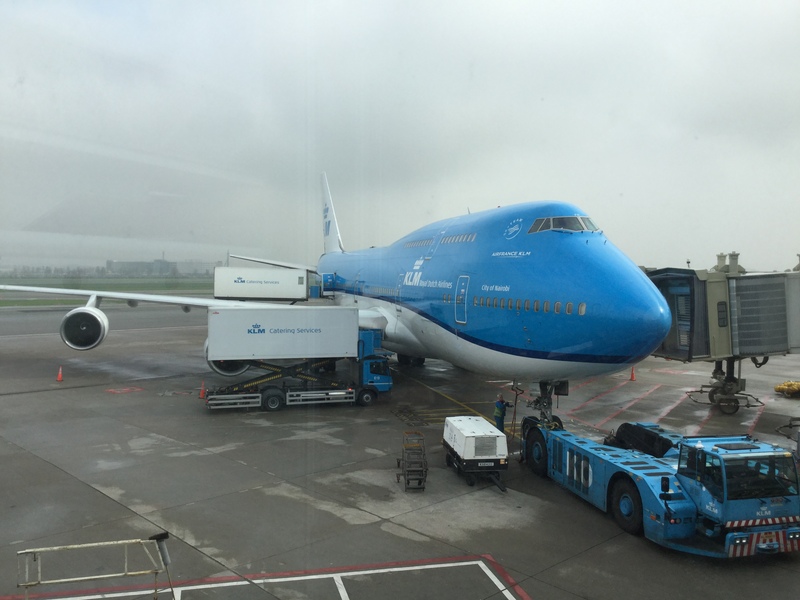 While I knew the eventual outcome in Paris, it was still with quite a rush that I read about his successful landing. What was amazing was how he was mobbed on the ground by thousands of well wishers and sadly souvenir seekers, the world’s newest and most well known celebrity. But it was not until after I read this book that I comprehended just how significantly his nonstop flight ushered in the age of commercial aviation, a recognition validated upon landing in Amsterdam at the home airport of the first and oldest airline in Europe and seeing the iconic Boeing 747 that Lindbergh had consulted on for Pan Am and Boeing in the 1960s sitting at one of the gates. And then to learn that Lindbergh and his plane, rather than flying home, was transported back to the States on the USS Memphis. If you have any interest in learning more about this incredible story and gaining an insight into some of the nuts and bolts about how it was accomplished, this is the book for you. When I learned of this book released in 2017 about the Biltmore, I knew I had to read it and added it to my Wishlist. When I discovered it had been marked down to $2.99 as a daily special, I snapped it up. 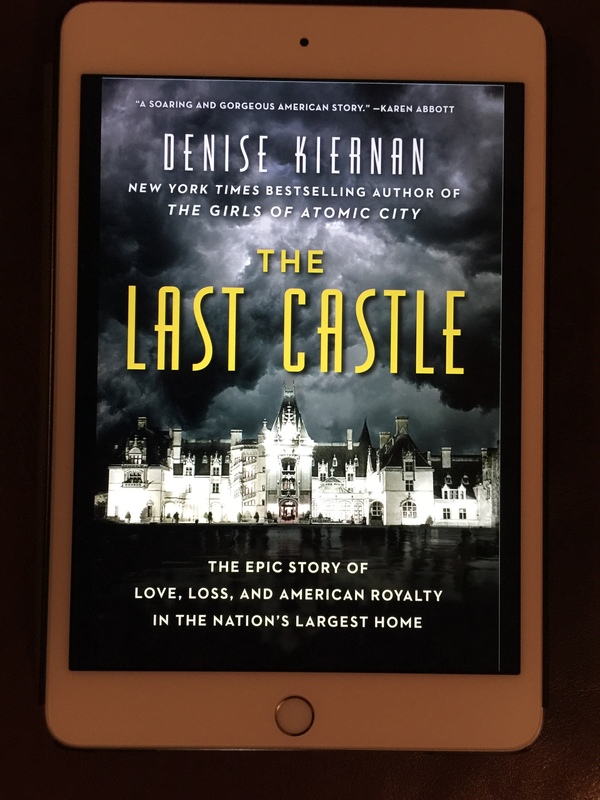 But interestingly once I was about a fourth of the way through The Last Castle: The Epic Story of Love, Loss and American Royalty in the Nation’s Largest Home by Denise Kiernan, I realized it was not the book I thought it was. 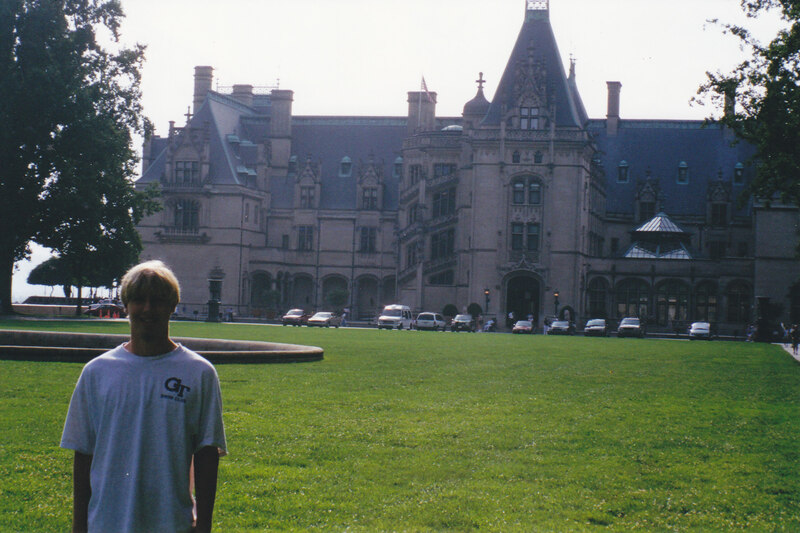 Biltmore House and Gardens has always held a special place for me having vacationed in the Asheville, NC area my whole life. My mother tells the story of me, probably on my visit at a very young age, going up to the mammoth lions by the front door, petting one and saying “good doggie.” Seeing this book and with my heightened interest in wanting to read about the building of things, I assumed I would learn many details about its massive construction. At first I was a bit disappointed since it did not include construction details I hoped to learn but by the end of the book, I felt I had gained new insight into the personality of this 175,000 square foot (4 acre) home. This book is about George Washington Vanderbilt, grandson of the “Commodore” and George’s wife Edith as well as their descendants. It tells of how the estate and the city of Asheville grew up together and what an impact their ground breaking and philanthropic efforts made to the area and to the lives of those less fortunate. It’s a beautiful story and one that would have ended quite differently had the young couple returned from England on the maiden voyage of that infamous ocean liner. The story, which traces their lives from their chance meeting through to their deaths, paints the emotions that are not visible when you visit this enormous home. But now that I have read the book, I am anxious to return to the house and tour it once again with an insider’s grasp of these beautiful details. Whether or not you have visited the home before, if you read this book, you will want to make a pilgrimage to the home. Many Americans my age can recall where they were when they heard the news of a national tragedy such as when President Kennedy was assassinated in 1963. The day the Columbia space shuttle broke up over Texas and rained down—01 February 2003—is another one of those memorable days for me as I was at work on that Saturday updating SOPs (Standard Operating Procedures). 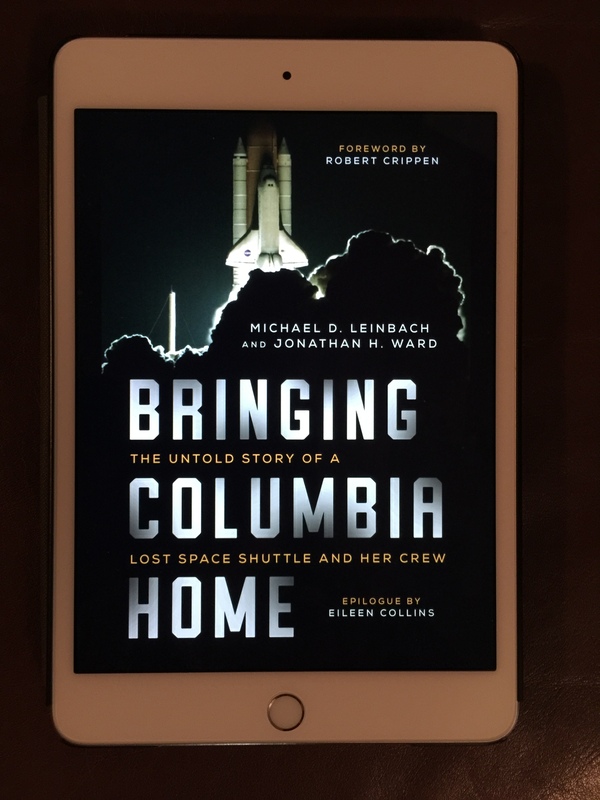 This book, Bringing Columbia Home: The Untold Story of a Lost Shuttle and Her Crew by Michael D. Leinbach and Jonathan H. Ward brought back the shock I experienced as I heard the breaking news story on NPR radio that day but then told me the monumental story I never knew. I can still recall video images of the shuttle pieces streaking comet-like across the morning sky when I saw the news on TV later that Saturday. When the shuttle broke up into its many pieces, each one was travelling at a speed of nearly 16,000 miles per hour, and each piece individually caused a sonic boom. Residents of rural East Texas couldn’t understand what was causing the almost continuous booms that occurred, at least that is until pieces of the shuttle began to be discovered by residents. Incredibly in the largest land search-and-recovery operation in US history, about 250,000 individuals from 450 federal, state and local organizations as well as volunteer organizations searched a mostly wooded 680,750-acre debris field mainly by walking every square foot, an area approximately the size of Rhode Island. Through their efforts, nearly 84,000 pieces (about 38% of the shuttle) were recovered as well as the human remains of all seven crewmembers. Just thinking of the story of how the remains of one crewmember were recovered still gives me goose bumps and sends chills down my spine. The searcher’s efforts also led to the discovery of critical pieces that allowed the determination of the cause of the disaster, another detail I did not know. Overall, this book left me with a tremendous appreciation for what it took to accomplish this incredible task.